If you’re looking for a reason to buy a home before the end of the year, here it is! Mortgage rates took another sizable dip to the low 4 percent range, due in part inadvertently to the recent government shutdown. After months of slow increases beginning late last spring, when interest rates were at a historic low of around three and a half percent, the bond market was actually bolstered by post shutdown activity that seemed to satisfy investors that Quantitative Easing would not be affected any time soon. This news comes just in time as buyers are seeing a slight rise in the inventory of available homes for sale, which gives the possibility of having less competition when making a purchase offer as well as more amenable sellers who may be more willing to negotiate. Another great reason to buy a home before the end of the year. First time home buyers may be entitled to tax credits as part of the California Housing Finance Agency’s Mortgage Credit Certificate Tax Credit program. This program allows eligible first time home buyers to convert a portion of their annual mortgage interest rate into a direct dollar for dollar credit on their individual tax returns. 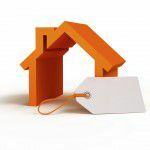 There are several other home buyer programs available for those who may not be able to go the traditional route and save a 20 percent down payment. Programs such as the CalPlus Loan Program and the CalHFA FHA Loan Program allow first time home buyers a way into ownership with low interest loans insured by the FHA. These combined with other great programs such as the CalHFA Zero Interest Program, the California Homebuyer Downpayment Assistance Program, and the Extra Credit Teacher Program give buyers many options. Contact Montemayor & Associates with your questions about these and other first time home buyer loan programs. Our staff is experienced to answer all of your home buyer questions. We can provide you with answers and avenues to help get you into the home of your dreams.